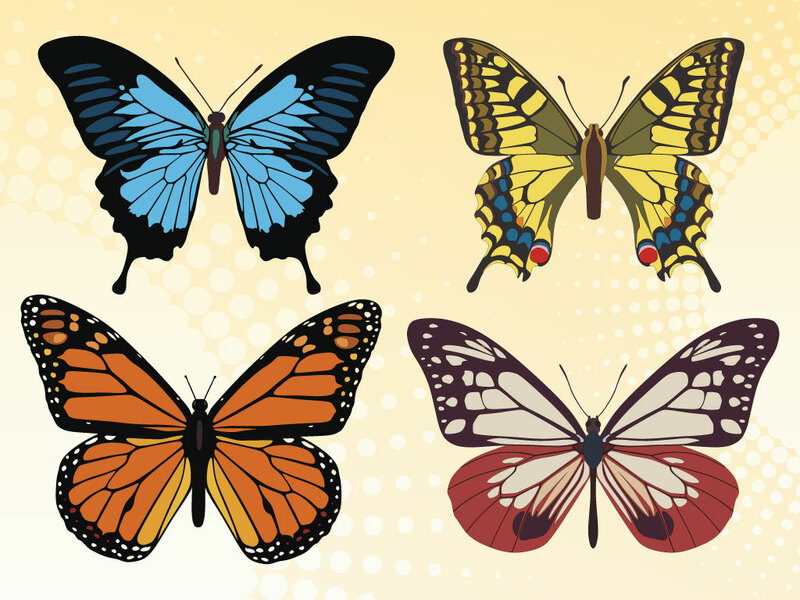 This butterfly set comes with four different types in different colors. A beautiful insect to add to your Spring, nature and beauty themed projects. A great choice to add to collages, greeting cards, fliers or brochures. Tags: Butterfly, Colorful, Fly, Freedom, Insect, Nature, Spring, Wings.